Is giving through our Community Foundation right for your clients? Find out if working with the Community Foundation of Middlesex County can be beneficial to your clients. We are here to assist you and your clients in making charitable donations that will benefit the community now and in the future. Here are eight questions to help determine if your clients could benefit from knowing more about our Community Foundation. Could they benefit from a charitable gift annuity when they could obtain income for life from an appreciated asset? If you answered yes to any of these questions, your clients would benefit from knowing more about the Community Foundation of Middlesex County. So, how can I recommend charity without recommending a charity? It’s a delicate dilemma. Estate planners, financial planners, and other professional advisors are often faced with a delicate dilemma: you want to discuss the many benefits of charitable giving with your clients, but you want to avoid recommending specific charitable causes or organizations. It’s your local community foundation. 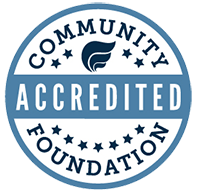 A community foundation is a single, trusted vehicle through which your clients can use to address the issues they care about most, while gaining maximum tax benefit under state and federal law. We offer a variety of giving options – including the ability to set up a charitable fund in your client’s name. It’s just one way we can help you help your clients achieve their charitable goals. We’d be happy to help you make an introduction. Call us to discuss your clients’ particular interests so that we can explore the best options to assure their intents will be met.